From Narita Airport to Tokyo by the "Narita Express"
From Narita Airport on the "Narita Express" for Tokyo, it takes 53 minutes to reach Tokyo Station. 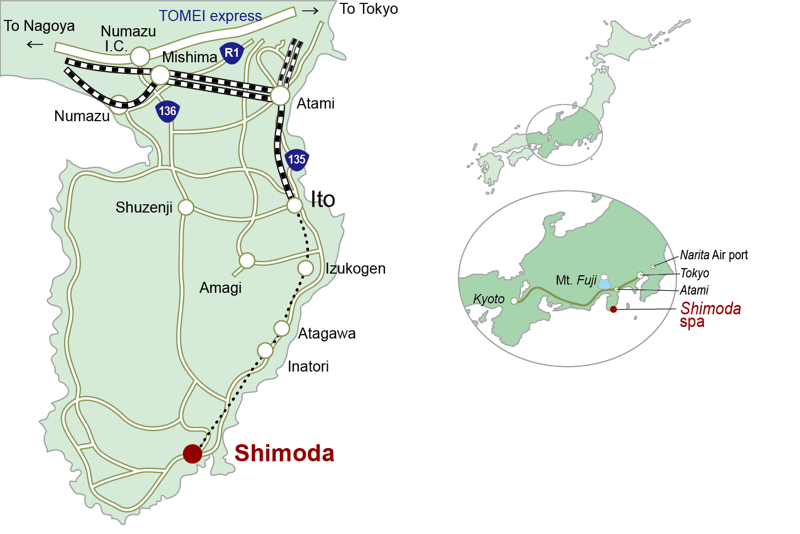 From Tokyo Station to Shimoda by "Shinkansen"
From Tokyo Station on the "Kodamago" for Nagoya or Osaka, it takes 55 minutes to reach Atami Station. At Atami Station, transfer to the Ito Line going toward Izu Shimoda and ride for about 90 minutes to Izukyu-Shimoda Station. 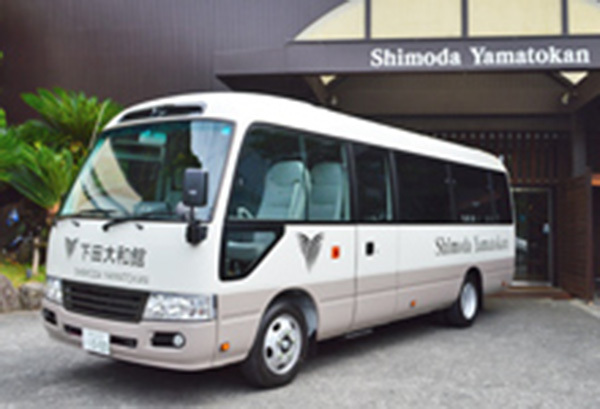 From Tokyo Station, get the special express "Odorikogo" on the Izukyuko line for Shimoda, which takes about 2 hours and 45 minutes to Izukyu-Shimoda Station.